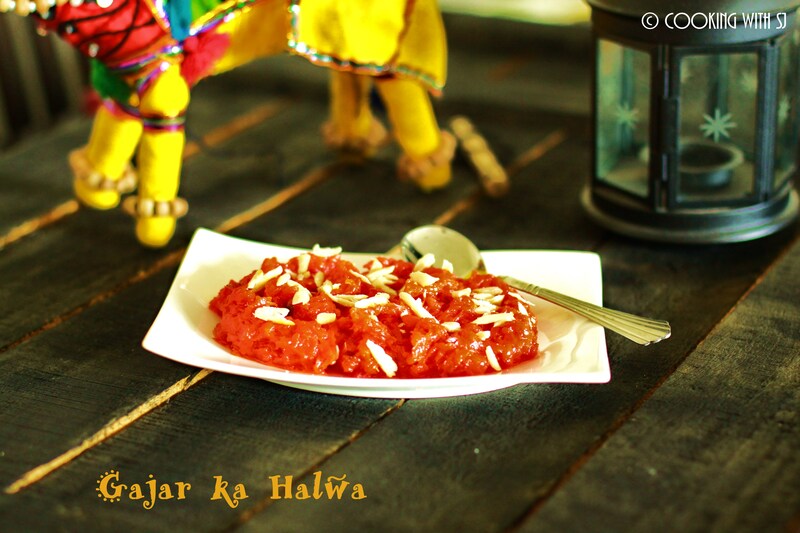 I always think of ‘Gajar ka Halwa‘ when it comes to any authentic Indian sweet dish!!! Wash and peel carrots and shred them using big hole grater. Heat ghee in a non-stick pan. Saute cashews and almonds for a min and keep them aside. Add shredded carrots in pan and mix well. Cook it on low-flame until raw aroma disappears. This will take approx 15 mins. Add milk and cardamom powder in it, mix all together and cook it on low flame for 15 mins more. Once it becomes thick and releases ghee from sides, add sugar in it. Mix everything well and cook it for 10 mins now. Add 10-12 pieces of sauteed nuts in it and mix it gently. Transfer it to a serving plate and garnish with remaining nuts. 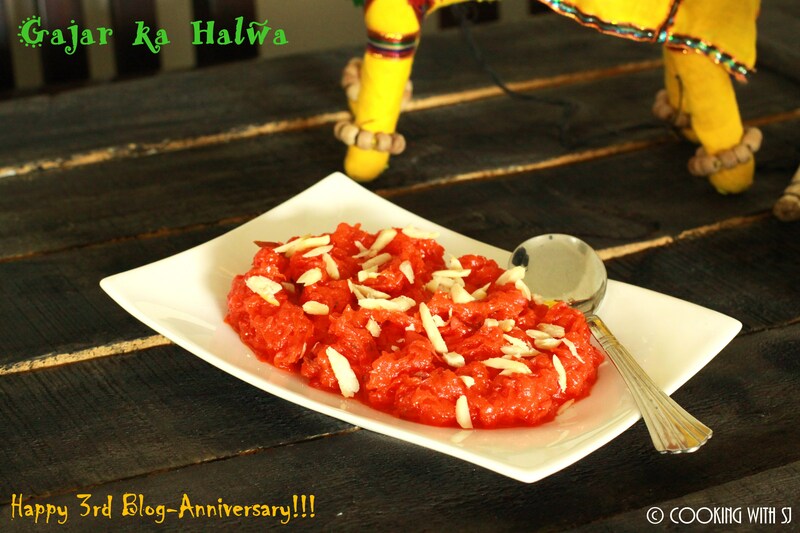 congrats for your 3rd year blogging. hoping for many more to come. I have same problem with carrots here too. its gives so dull color and I hate using colors in food. that’s main reason I don’t make very often this halwa but looking at this you are tempting me to do it so hopefully will do it soon. looks delicious as always. 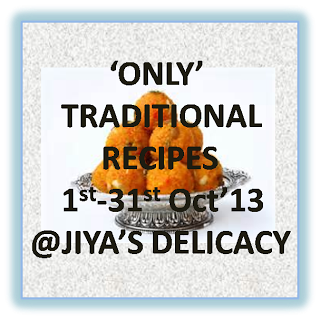 Lovely Halwa… Thanks for linking it up fo rthe event… Looking for some more raditional recipes… Thanks….